As soon as you see ants in your house, the first thing you do is to spray ant sprays on ants. You be succeeded in killing some ants and the next day, you again see ants on your kitchenware or in any other place of your house. There are many ants which are present in your territory, but you cannot see them because the ants have hidden in such a place where you cannot locate them. Ants are so tiny in size that the insects crawl into the tiniest points of your residence. Ants get in your house through outdoor opening points which could be on the outside portion of walls, doors, windows and so on. Once these insects get in your residence, then the ants will move around places where there is food and water. The sweet-based foods will make ants attack on them. Whether it is a sweet-based meal or a greasy item, ants will always be found near those things. When ants ingest the foods ingested by human beings, then the person catches the germs which are contained in the food. Ants transmit germs on the food and the humans get succumbed to diseases which are spreaded by ants. Moreover, the ant bites make a person’s skin red in color. In order to end the lives of ants, you need to end the colony of ants. To terminate the colony of ants, you will have to call up our ant control Perth pest officers who will execute the termination plans against ants. Our qualified pest officers know well where to apply ant control solutions. They will apply in the appropriate places to terminate ant colonies in a few attempts. There are a few species of ants which send sharp stings on the skin of human beings. You might have experienced the bites of ants at some point of your life. You must be thinking why ants bite you. When the critters feel threatened by your presence, then the ants bite you in order to defend themselves. The bites of ants become very painful to your skin. Along with itching, you get red color marks around the bitten part of the skin. Aside from skin allergies, many other skin-related diseases can erupt on your skin. We all know ants move around filthy places. When the nasty ants crawl over the food, the pests transmit countless deadly germs on the food. Upon eating those contaminated food of ants, you make your health ill.
Before you apply do-it-yourself tips or an ant-based pesticide to get rid of ants, you should know which ant species are dwelling in the hidden zones of your house. 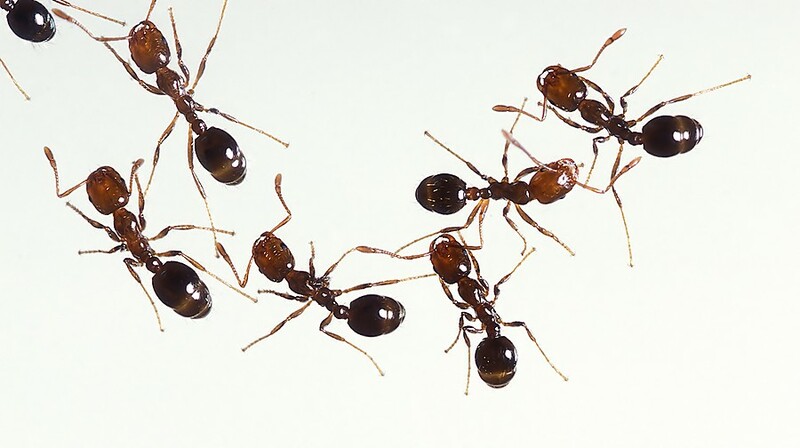 Our pest technicians will update you with every bit of ant species. In Perth, the white-footed house ants, ghost ants, coastal brown ants, Argentine ants, black house ants, fire ants, pharaohs ants and pavement ants frequently breed in people’s homes and offices. Our servicemen will clog the access zones of ants by inspecting the territory of your home with the use of inspection tools. Once the breeding zones of ants are known to our ant exterminators, then they will use quality ant control products and ant treatment Perth solutions to iron out the hassles of ant infestations. The right ant products in the form of gels, baits, surface sprays and repellents will eliminate the infested points of ants, making you relief from the recurrent invasion of ants.